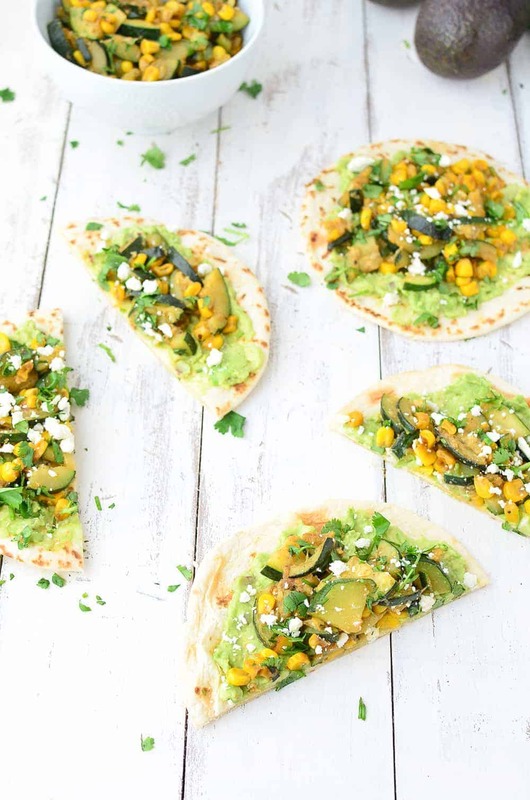 Zucchini and Corn Tacos! 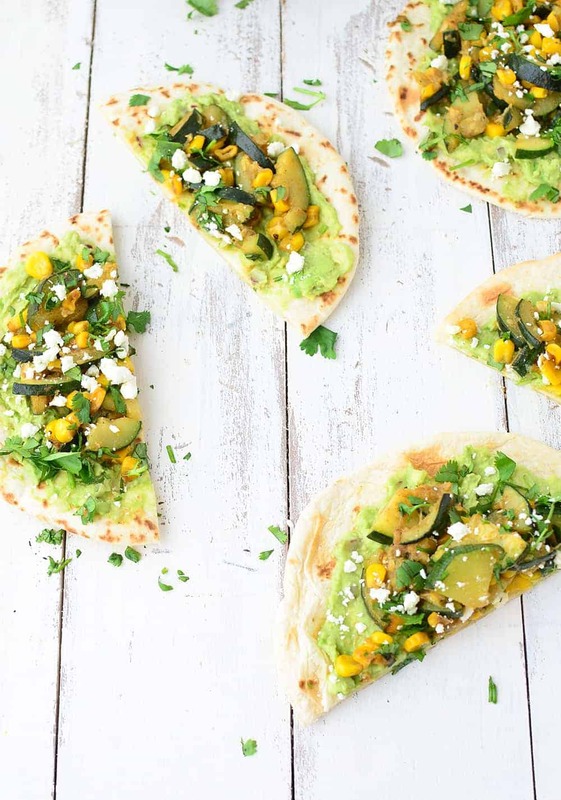 These vegetarian tacos are so healthy and filling! You’ve gotta try them. It’s Taco Time! Or, as my adorable 2 year-old niece likes to say, “tis tato time!” Yeah, it’s as cute as it sounds. 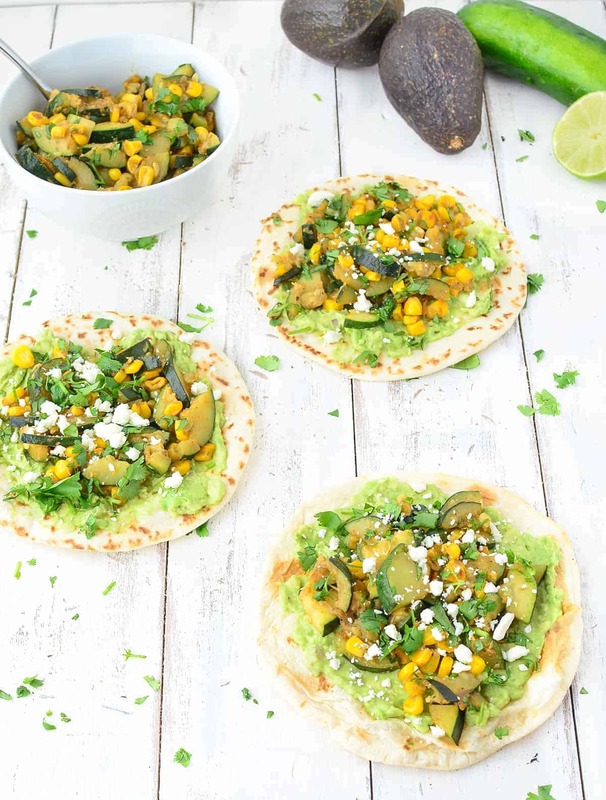 I think it’s fair to say that you could pile just about anything on a tortilla, top it with guacamole and call it a taco. At least in my kitchen. Leftover BBQ tempeh? BBQ Tempeh Tacos! Remainder can of black beans that I didn’t use for a recipe? Black Bean Tacos- with extra hot sauce. You get the drift, leftovers in my house get eaten in one of two ways: stuffed into taco shells or tossed with pasta. It’s that easy. These tacos were born out of the idea that I wanted to do something different with my weekly zucchini CSA haul and tacos. I’m always craving tacos, especially now that I’ve transitioned from a California gal to a Midwest Wife. 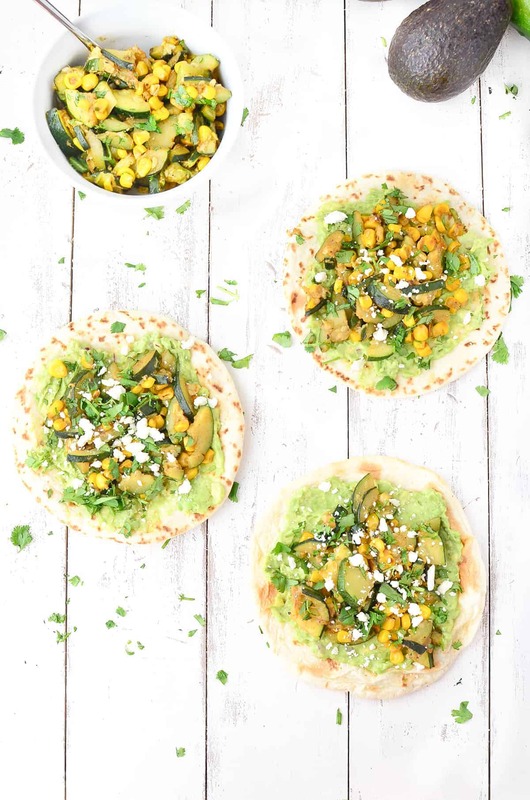 Roasted zucchini, charred corn, and extra guacamole? These tacos pretty much make themselves. Besides being flavorful, they are so easy and light! All requirements for my summer dinner strategy: spending as little time as possible in the kitchen while still being healthy. These tacos taste best with grilled flour tortillas, so skip the corn this time. After I ran out of tortillas, I switched to naan bread (frozen from Trader Joe’s- the best), which was also out of this world. Either carb you choose, you’re going to love these tacos. 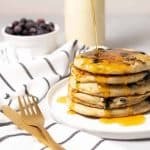 For my vegan and dairy-free friends, these are easily adaptable- just leave out the cheese! I hope you enjoy! If you do end up making these, let me know. Tag on Instagram or Twitter with #delishknowledge. It makes my day seeing you enjoying DK food! Heat a large skillet on medium-high heat. Add the oil and add in the zucchini, 1/2 the red onion, minced garlic and corn kernels. Cook for 8-10 minutes until crispy. Season with salt and pepper. Divide the avocado in 1/4 and smash onto warmed tortillas. 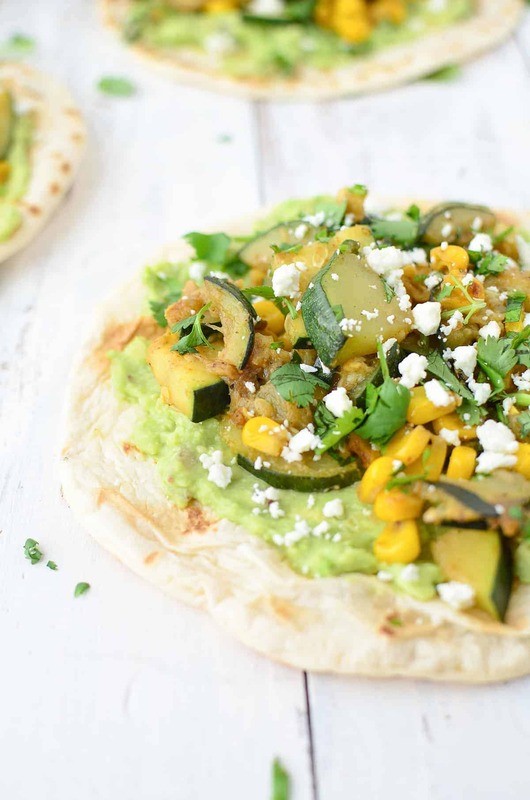 Such a perfect light summer taco! What a great taco! All of our leftovers end up getting put into pasta too. Now I might have to start making tacos with them too! Love this idea! Taco Time!!!! We could have taco time all the time! Love it! These are beautiful and sound so, so good! 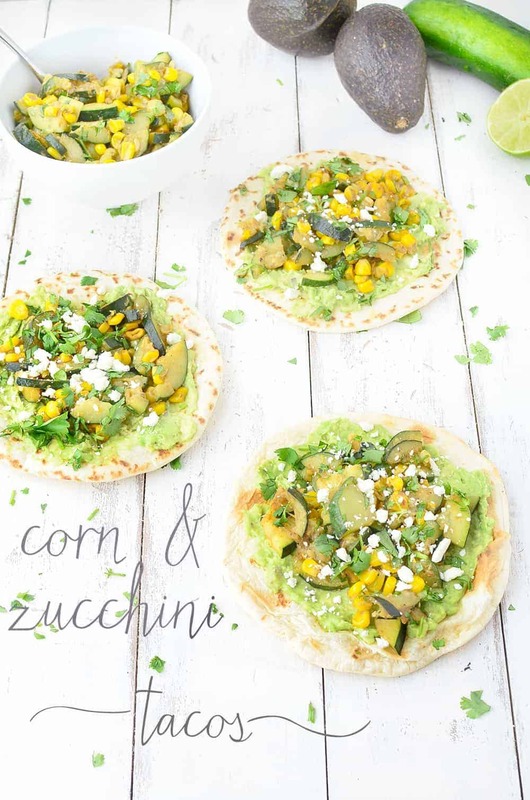 I love the corn-and-zucchini combo! Wow! So beautiful! This is definitely my type of meal, Alex. Yum!! I can go for tacos anytime as well…the more guacamole the better! These look great! Those tacos look delicious! 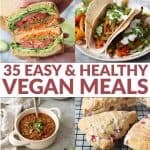 We’re always looking for some tasty meatless meals to add to our rotation. 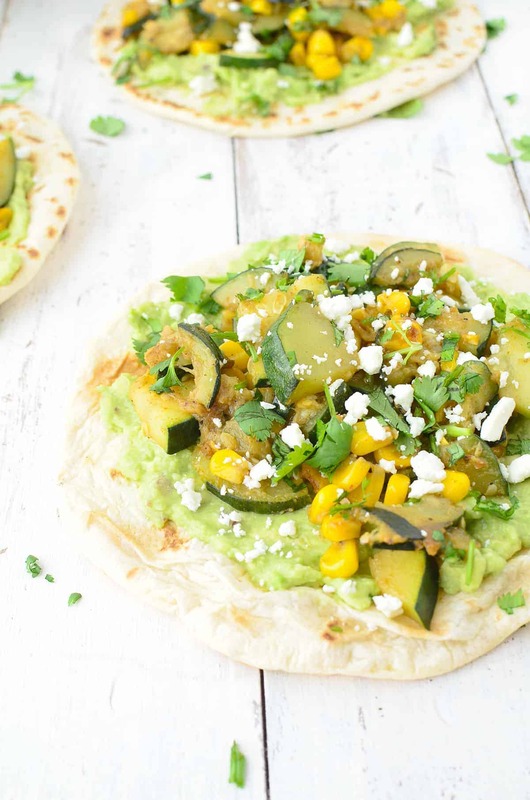 Great way to use summer produce!